Valves are linear-lanceolate with protracted and narrowly rostrate to subcapitate apices. Raphe is weakly lateral, becoming filiform at the distal and proximal ends. Proximal raphe ends are small and straight, and not inflated. The axial area is narrow, barely wider than the raphe, flaring slightly at the stauros. The central area is a rectangular stauros, often asymmetric and slightly wider at the valve margins. Short striae are sometimes present at the margins of the stauros. Striae are radiate throughout. Areolae are irregularly spaced and difficult to resolve in LM. Stauroneis neohyalina is widely distributed in small lakes and wetlands throughout the Northern Rockies. The pH of these waters ranges from 6.2 to 7.6 and specific conductance ranges from 8 to 109 µS/cm. Lange-Bertalot & Metzeltin (1996) reported this species from an electrolyte-poor, humic-rich lake in Finland. Siver et al. 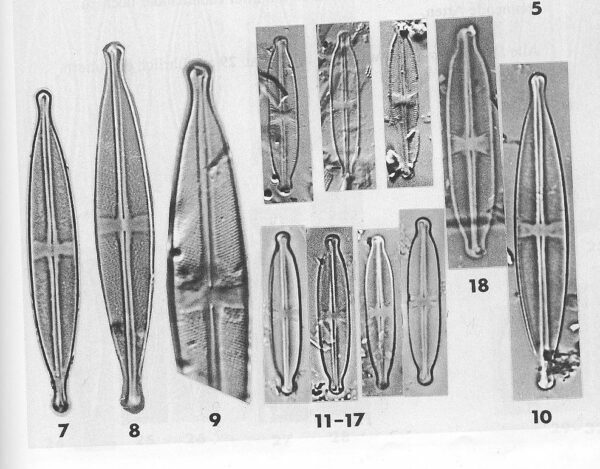 (2005) reported this species (as Stauroneis gracilior) from somewhat acidic ponds on Cape Cod, Massachusetts. 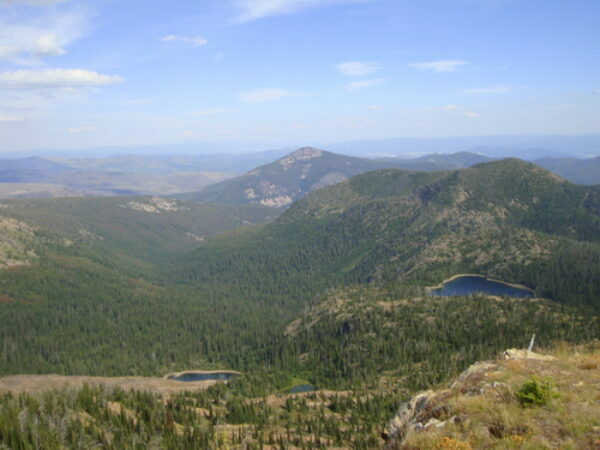 Beeskove Lake (right), Missoula County, Montana: home of Stauroneis neohyalina. Héribaud, J. (1893) Les Diatomées d'Auvergne. Librairie des Sciences Naturelles, Paris. pp. 1-255. Valves are linear-lanceolate with narrow rostrate to subcapitate apices. 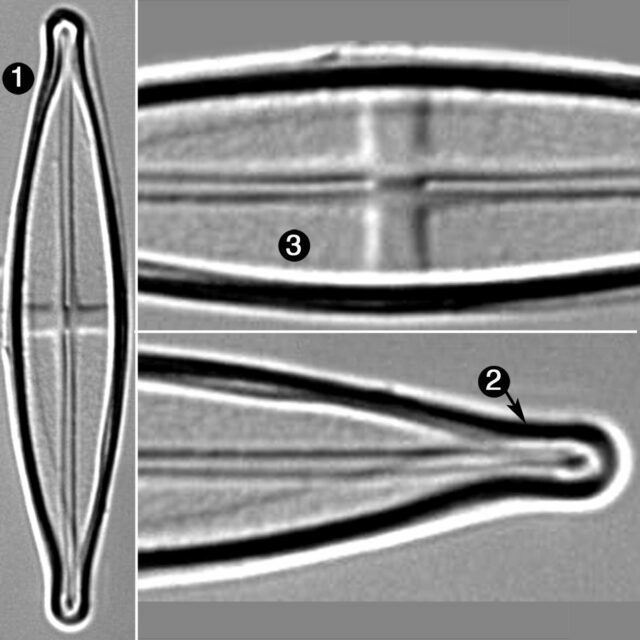 The striae and areolae are very fine and exceed 30 in 10 µm.